I have many quantities. They are all. Used in box. No remote. 4 way included. Model VS PRO. typically processed within 48 hours of closure. We are closed on weekends. Orders are. NOT warranty batteries on any used devices. BATTERY POLICY = We do. this is not a defect in the unit. Viewsat 7000 PVR Satellite Receiver Video Recorder With Remote, manual, cords and original box. Condition is listed as used but in excellent shape. This unit fires up with no problems. There are no scratches on unit or lens. Protective film still on the front lens. We are a small thrift store run by two people. We do our best to test, photograph and describe the items we list on here though we are not experts and this is a used item. For these reasons this is being sold as is. Condition is listed as used but in excellent shape. This unit fires up with no problems. There are no scratches on unit or lens. Protective film still on the front lens. This is how it looks at start up. 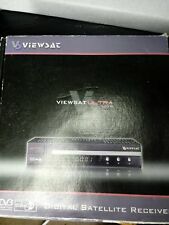 Used Viewsat VS2000 Xtreme receiver. This unit powers up and come with a remote. Unit is sold as is and has free shipping to the US only. I am easy to work with. I will do my best to answer promptly. But there will be rare occasions when my best efforts are not enough and the item you have received has problems. Viewsat MAX HD Free to Air Satellite Receiver. Shipped with USPS Priority Mail. HOWEVER THESE ARE USING THE OLDER DVB FORMAT AND I AM NOT SURE IF THEY CAN BE UPGRADED TO DVB2.?. AND THEN PUT THEM BACK IN STORAGE. YOU WILL BE BUYING THESE TWO RECEIVERS FOR PARTS. SALES ARE LIMITED TO THE UNITED STATES. 2 Viewsat Digital Satellite Receivers Model VS2000. 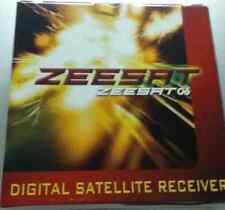 4.5 out of 5 stars - 2 Viewsat Digital Satellite Receivers Model VS2000. 22 product ratings22 product ratings - 2 Viewsat Digital Satellite Receivers Model VS2000. Unit is clean. We will help to resolve any issues quickly and fairly. Alaska and. This item is in good condition with only minor blemishes from normal use. Unit powers on normally. Unit is fully functional. It Turns on, not tested further.